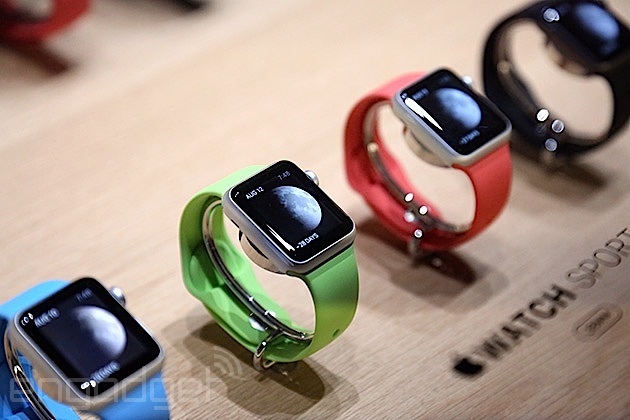 It's been six whole months since Tim Cook revealed the Apple Watch to the world. Here we are again. With good reason, though. Apple may have already officially introduced us to its first smartwatch, but there were still some big questions left unanswered. Today Apple gathered the press to give the Watch the launch event it always deserved (and, you know, tell us how much it'll cost and when we can buy it, what apps we can expect, etc.). Now we have some answers. Want a laptop that's even thinner than a MacBook Air? What about one that's available in gold? If your answer to either of the above is yes, then Apple has a new notebook that could be right up your alley. Simply called the "MacBook," it's a 12-inch laptop that's just 13.1mm thick (24 percent thinner than the 11-inch MacBook Air). 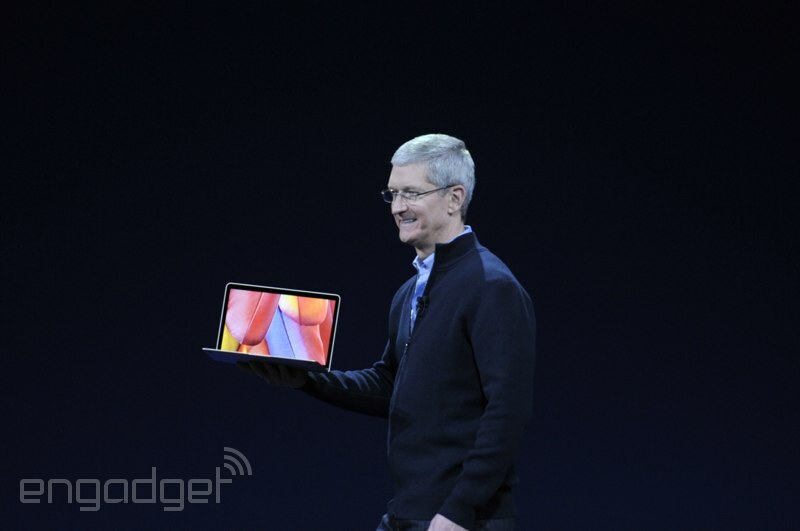 Ithas a new trackpad with "Force Click" gestures, a redesigned keyboard and a 2304 x 1440 resolution Retina display. If you live in the UK, by now you're probably wondering how much all of this is going to cost you. Well, here's the skinny: When Apple launches its new MacBook on April 10, the cheapest model will ship with a 1.1 GHz dual-core Intel Core M processor (with Turbo Boost speeds up to 2.4 GHz), 8GB of memory and 256GB of flash storage for £1,049. 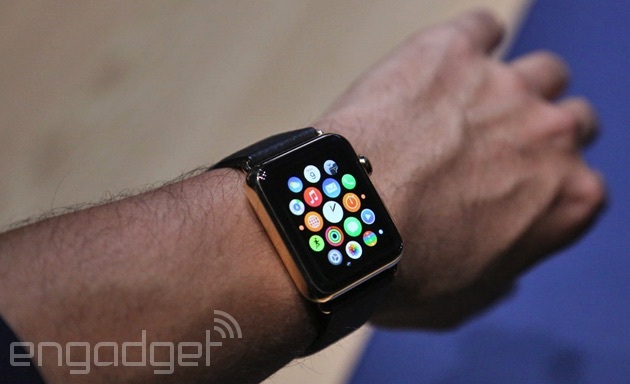 We already got the big Apple Watch reveal last fall. 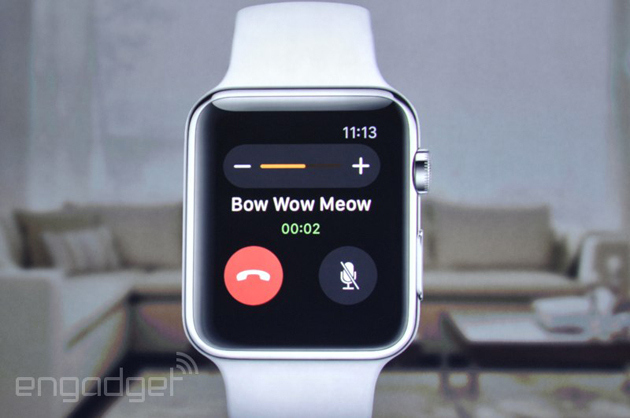 But today, Tim Cook took the stage at the Yerba Buena Center in San Francisco to let us all know what wonders thatvery Apple smartwatch can perform, like make and receive calls! Oh yes, and there's also a host of apps to take advantage of Apple Watch, but to get them, first you'll need to download the new iOS 8.2 software update for your iPhone. Good thing it's available today. If you've already got your heart set on Apple's new ultrathin MacBook, be sure to set aside $79 for one of these dongles if you want all of the ports you're used to. 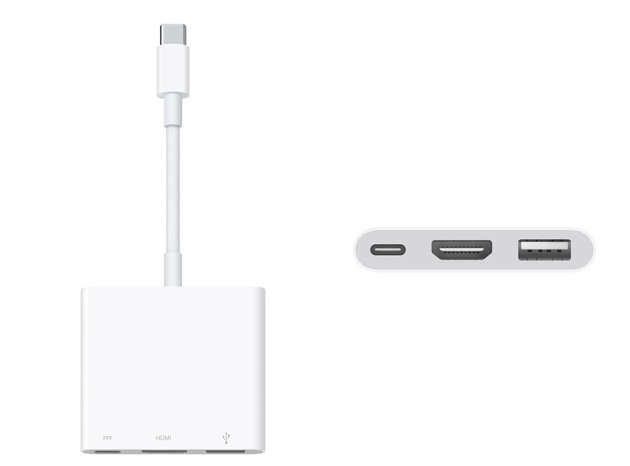 The new MacBook only includes a headphone jack and a new USB Type-C port, which handles both charging and accessory connectivity, making additional dongles and cables pretty much a necessity. Apple's starting out by offering two A/V-oriented options, which give you either a VGA or HDMI port, as well as a standard USB 3.0 jack and an additional USB Type-C port. Sure, they're expensive, but that's not unusual for Apple's accessories. The good thing about USB Type-C, though, is that it's a completely open standard, so we'll eventually see plenty of cheaper cables and dongles from other companies. But if you want a good deal, you'll probably have to wait until more computers start offering the new USB port. 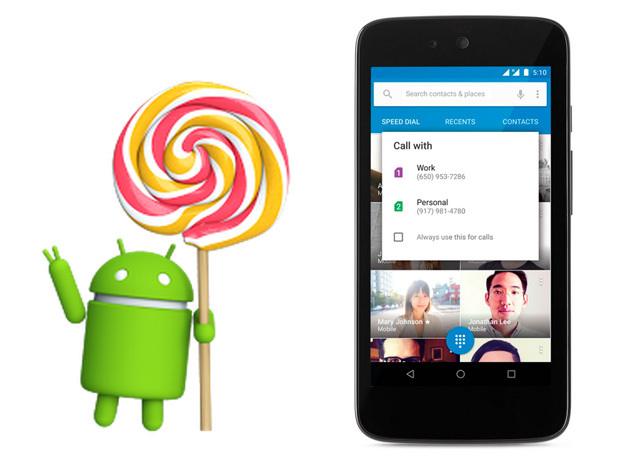 After weeks of teasing, it's here: Google has officially unveiled Android 5.1 Lollipop. The new release focuses on support for features that usually depend on extra software to work, such as multiple SIM cards (handy for prepaid service in countries like China and India) and higher-quality HD voice calls on networks like T-Mobile or Verizon. You can control your WiFi networks and Bluetooth devices from the quick settings area, too. An Apple Watch won't do you a ton of good without a band to hold it to your wrist and Cupertino has plenty of options to choose from. 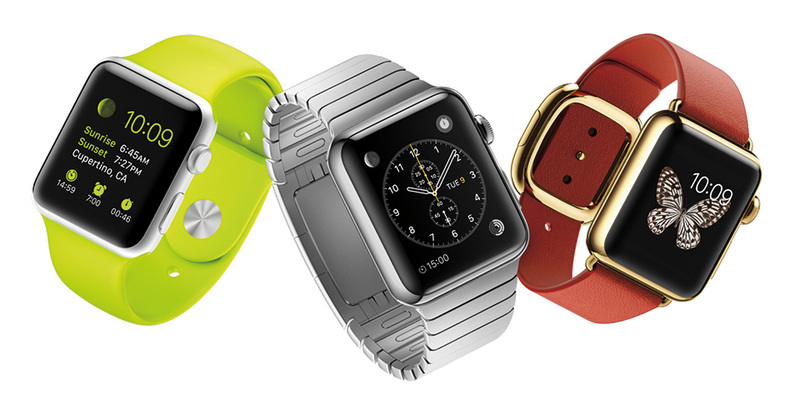 Let's start from the bottom: A 38mm sport band runs $49, and a 42mm one is the same price. It starts getting more expensive from there, though. 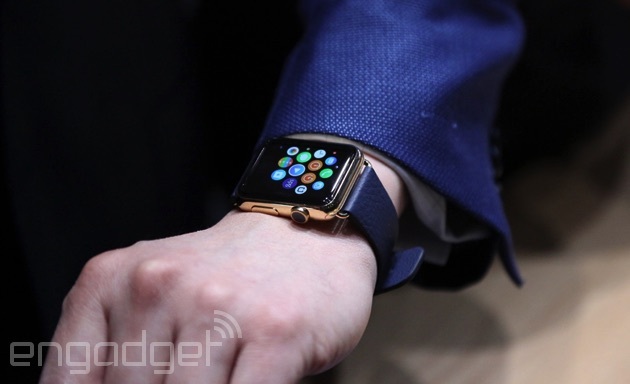 The 38mm Milanese Loop (which looks an awful lot like chainmail if you ask me) is $149. Same goes for the 42mm large leather Loop. The smaller, 38mm Modern Buckle costs $249. The Link Bracelet will set you back the most, however, at $449 for a 42mm band (just over the price of two Pebble Time watches). Of course, none of them are available to ship at the moment despite how much you might want one -- you'll have to wait a few weeks for that. How long can the current Apple TV survive? The sleek streaming box has stayed the same, more or less, for just over three years now. Sure, there's been a steady stream of new apps and software features, but the components and basic experience have barely changed. Meanwhile, we've seen Roku, Amazon, Google and others bombard the market with rival hardware that offer new, modern takes on navigation and discovery. We're still waiting on a major Apple TV refresh, but in the meantime the company has dropped the price of its set-top box yet again; now, you can pick one up for £59 rather than £79 in the UK. If you've considered getting an Apple Watch, you've probably wondered about what happens when that battery eventually runs dry. Surely Apple would have a way to keep your timepiece running for more than a couple of years, right? Yes, it does. The company has confirmed to TechCrunch that the battery "is replaceable" -- by Apple, that is. There's no mention of how much a replacement costs when you're out of warranty (we've reached out to learn more), but a quick look at the fine print on product pages shows that you'll get in-warranty coverage if your battery has lost 50 percent or more of its capacity. That could be an issue if you depend on the Watch often, since the battery life may become unacceptably short before you qualify for a free fix. Do you prefer the iPhone, but would like to use Google's calendar app to keep track of your life rather than Apple's own? That's finally an option. Google Calendar has launched for the iPhone, giving you the same schedule view, Gmail events and broad account support (including Exchange and iCloud) as your Android-toting buddies. You won't get any special perks in this iOS version, but familiarity is really the point here -- you can hop between platforms without switching interfaces. If you're planning to listen to music on the Apple Watch while you go running, you may need to keep your expectations in check. Apple tells 9to5Mac that the wearable has 8GB of built-in storage (twice as much as a typical Android Wear watch), but that there are set limits on how much media you can store. Only 2GB is available for music, so don't think of stuffing in a gigantic exercise playlist. 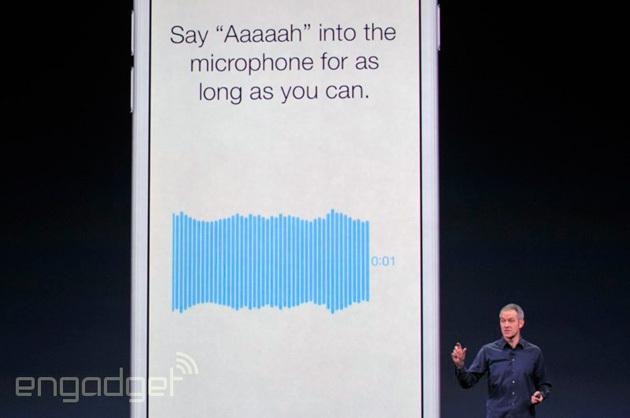 In practice, you're looking at about 200 to 250 songs at the 256Kbps quality you get from the iTunes Store. There's also just 75MB of space for photos, although that won't matter as much given that the Watch both limits you to favorite photos and resizes images to match the smaller display. Apple's recently announced MacBook and Watch both understand the difference between a gentle press and a hard shove. It should surprise nobody that the company is likely to add this technology, dubbed Force Touch, to the next generation of iPhones. The Wall Street Journal has called around its circle of people familiar with the matter, who all say that it'll be the headline feature for the iPhone 6S and 6S Plus. In addition, those in the know believe we'll soon get a fourth color option to choose from: pink. Although Nokia is no longer in the smartphone game, it has remained committed to its other businesses. One of those is its mapping division, which almost six months ago debuted a new Android app capable of giving Google Maps a run for its money. At the same time, Nokia teased the launch of a completely overhauled iOS app, but its development has been shrouded in relative secrecy. Nokia pulled its first iOS Maps app after admitting things "went horribly wrong," and its developers have had a lot of work to do to make sure it doesn't suffer a repeat this time around. The company believes it's ticked all the requisite boxes as it's now available to download on the App Store. 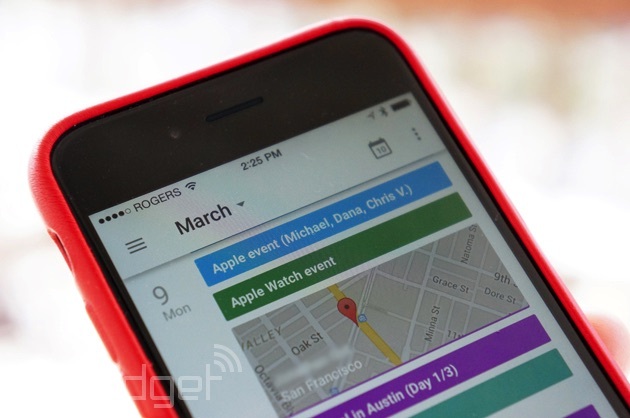 Is it good enough to replace Google Maps or condemn Apple Maps to more misery? We took the chance to preview the app and find out. 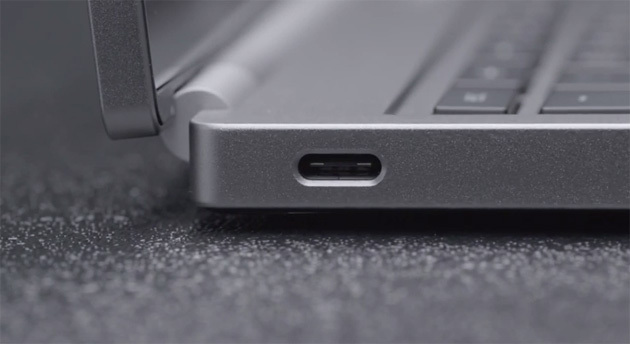 That tiny USB Type-C port you've seen on the latest MacBook and Chromebook Pixel? Don't be surprised if you see it on your smartphone soon. In a video accompanying the new Chromebook, Google's Adam Rodriguez says that his company is "very committed" to the new USB spec and that you'll see it on both Android phones and more Chromebooks in the "near future." It's a vague promise, to be sure, but it'll matter a lot in the long run. Type-C delivers brisk USB 3-level speeds (and eventually,3.1) without requiring a gigantic connector, and the reversible design means you won't have to inspect your phone to make sure you plug the cable in the right way. HBO CEO Richard Plepler just announced that its new cable-free streaming service will be available only on Apple devices (and PCs, per a press release) when it launches early next month. 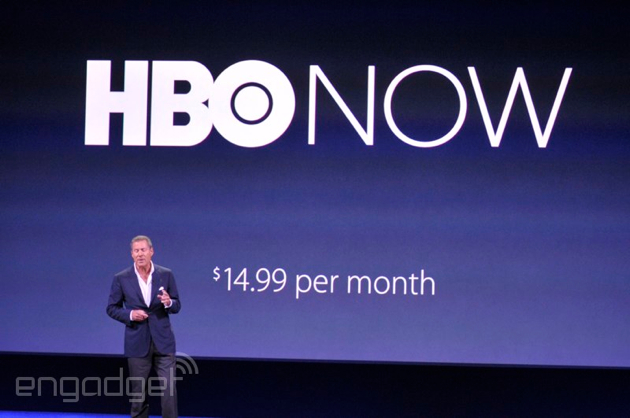 The price for HBO Now has also been confirmed at $14.99 per month, and it will be available in time for you to catch the season premiere of Game of Thrones on April 12th. Plepler also debuted a new GoT trailer, and mentioned that there will be a new channel on Apple TV for the service once it's available. Even better, there's a 30 day free trial for anyone that subscribes in April through an Apple device. It's been a long, long time since Apple refreshed its streaming box, the Apple TV. And it looks like that won't be changing anytime soon. Now, that's not to say the company has forgotten about the platform; in fact, since the last hardware update, Apple's made its set-top ecosystem more robust by adding a myriad of third-party entertainment apps, making the tiny box a must-have for most any living room. With that in mind, today at its highly anticipated "Spring forward" event, Apple announced that Apple TV will now start at $69 -- $30 less than its previous MSRP. The new retail price comes on the heels of the announcement that HBO Now will be exclusive to Apple hardware, including the iPhone, iPad and, of course, Apple TV. Apple's taking another step in its ongoing effort to make its iDevices more friendly to medical professionals. "ResearchKit" was introduced this morning in a San Francisco event by Senior VP of operations Jeff Williams; he calls it, "a software framework made specifically for medical research." 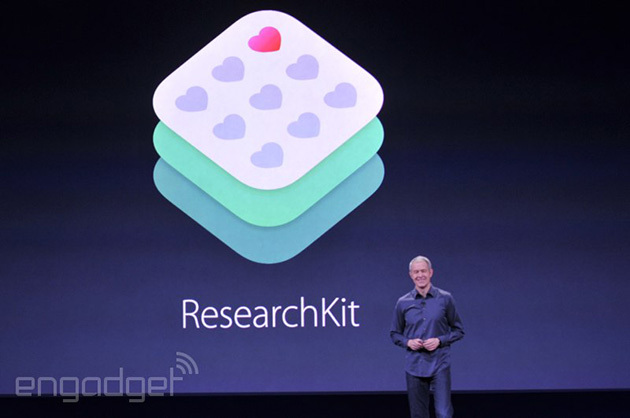 More specifically, ResearchKit is a solution for making iOS devices with HealthKit into "powerful tools for diagnosis." The long and short is ResearchKit is intended to make medical diagnosis apps easier to create by medical professionals. A handful of apps were shown off that help with diagnosis of a range of conditions, from Parkinson's to breast cancer. The data collected by these apps, which Apple says it won't see and you can opt out of sharing, can be used for enormous research projects. Apple just unveiled its new MacBook, the first major addition to its ultraportable line since 2010. And yah, it seems like it was worth the wait. Shaving off even more from the MacBook Air's already thin design, the new MacBook features a sharp 12-inch screen with a "Retina" 2,304 by 1,440 pixel resolution, as well as a near bezel-less case (both around the screen and the keyboard). 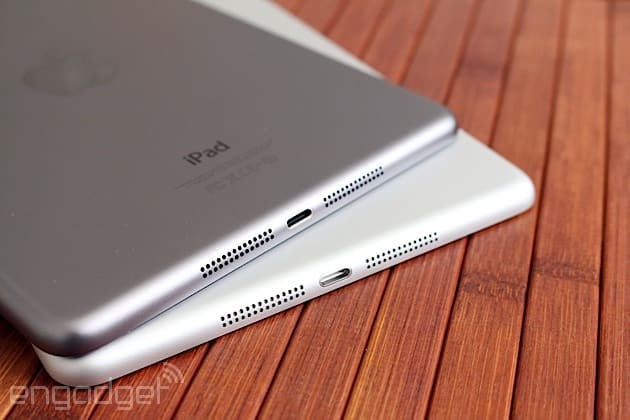 It's just 13.1 millimeters thick, around 25 percent less than the 11-inch MacBook Air. It brings the best of both worlds from Apple's past Air lineup: A tiny portable case like the 11-inch version, and a larger screen from the 13-inch sibling. 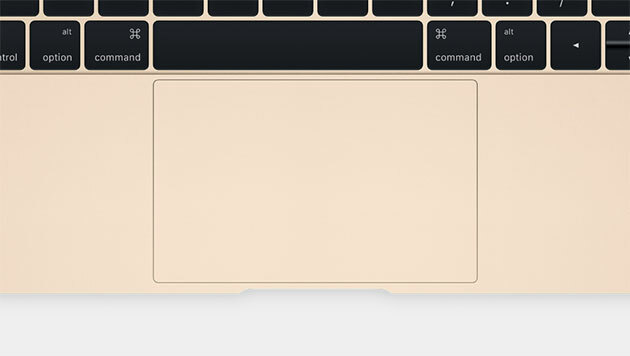 In short, the new MacBook seems like the ideal Apple laptop -- something it's been working towards since Steve Jobs slipped the first Air out of a manilla envelope in 2008. The MacBook ships on April 10 and starts at $1,299 with a 1.1 Ghz Core M processor, 256GB SSD and 8GB RAM. There's also a slightly more powerful model for $1,599 with a 1.2 Ghz processor and 512GB SSD. Tired of recharging your iPhone several times a day? That's just because the iPhone's thin and light design is encouraging you to use it more, according to Apple's design guru Jony Ive. In an interview with the Financial Times today, Ive dove deep into the design process of the Apple Watch, but when asked about the need to recharge iPhones often he didn't see much of an issue. Instead, he noted that stuffing in a bigger battery would make it heavier and less "compelling." Never mind that battery life remains the single biggest concern for most smartphone users, according to a survey by Cat. If this interview had occurred a year ago, Ive would seem even less sympathetic. Now, at least, Apple has the iPhone 6 Plus available, which offers a significantly bigger battery thanks to its larger 5.5-inch frame. If you're holding out hope for a super-sized iPad Pro, Bloomberg is still in your corner. The outlet previously reported 12.9-inch iPad production could start as early as Q1 of this year, but now says suppliers are gearing up to start production in September. Citing delays in the supply of display panels, Bloomberg claims Apple will turn around sliding tablet sales with the still-unannounced new variant. Whatever the folks in Cupertino are up to, we hope that next time around the iPad Mini gets more upgradesto match its higher price.